And it tastes even better!! Beef Wellington is DELICIOUS. I had concerns. I mean, the majority of recipes that were “hot” in the 1960’s concern me. And, in some recipes, its supposed to look like a shiny boot when done. Hmmmm. BUT– it was spec.tac.u.lar. Hell, we were even eating the “scraps” off the platter. 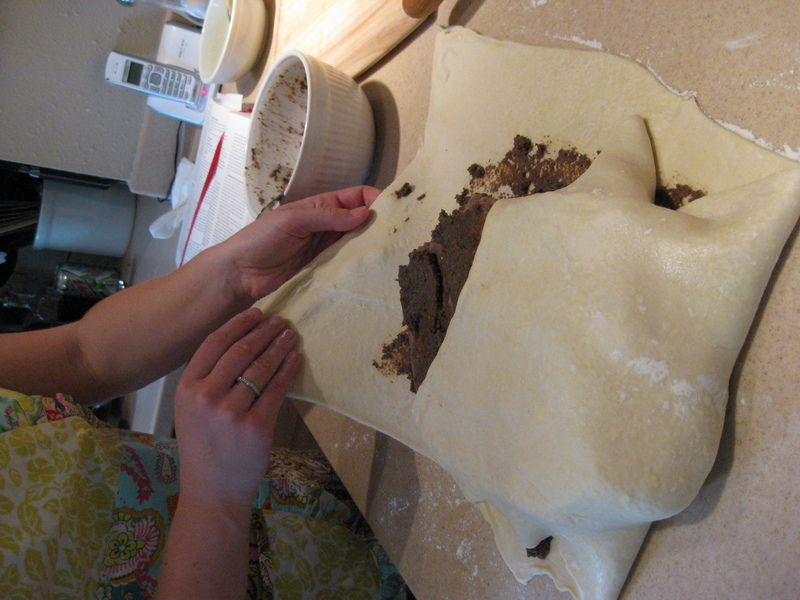 I could go on and on…rich, buttery, earthy from the pate and mushrooms. And really really tender. No steak knives required. Butter, pate....how could you go wrong?! UNEXPECTED BONUS(es): Double bonus this time kids! 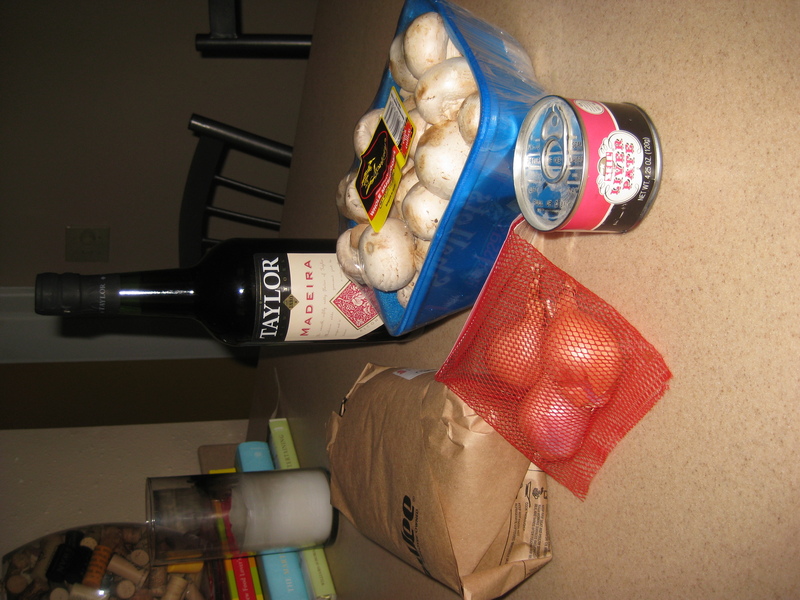 1) Madeira is fantastic flavoring….its richer and less acidic than most wines I’ve cooked with. Suit up, Madeira: you’re in the game. 2) I made friends with butchers. Ooohhhh…do you think they could find me a goose?! 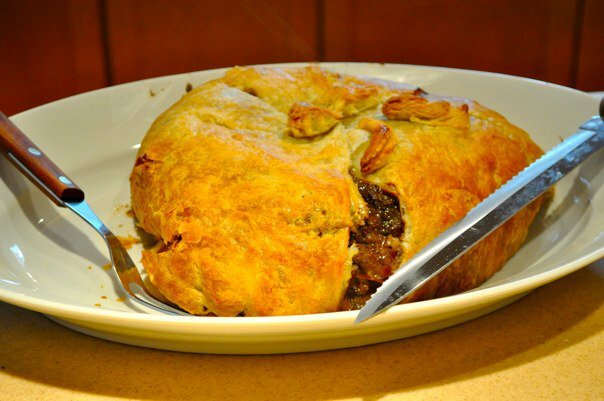 Did I convince you to try beef wellington? Because you should. And serve it to a table full of friends. Friends who bring wine. 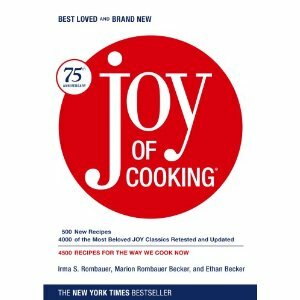 This entry was posted in 30 Before 30 and tagged beef, cooking, food, The Joy of Cooking, wine. Bookmark the permalink. 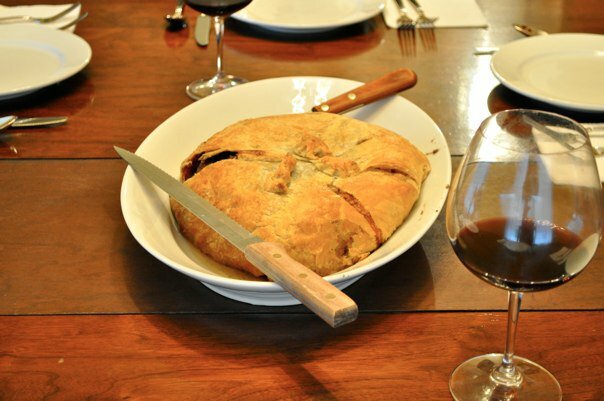 what a beautiful job with the beef wellington….very impressive!! I never knew that about the name…lol….thanks for sharing!